I used to think that freshly baked, homemade bread had to take hours of work. 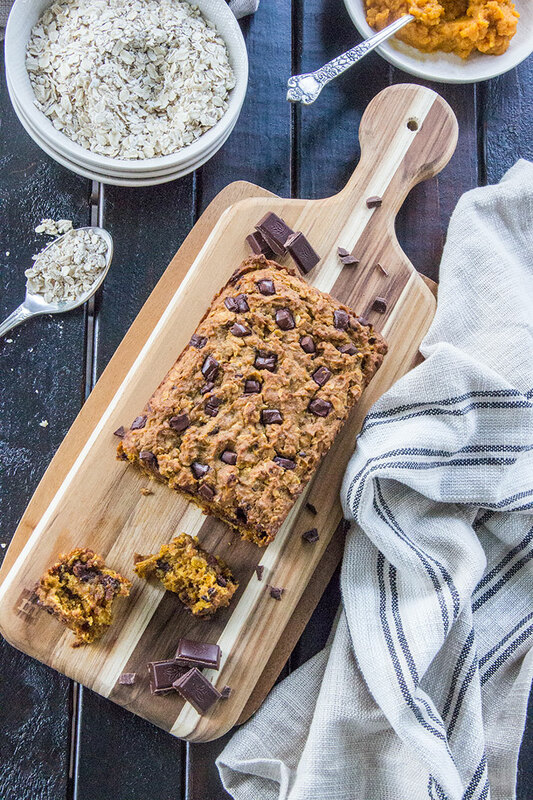 And maybe some types do, but a quick bread like this pumpkin oatmeal bread is beyond easy. So simple, it takes me about ten minutes or so to whip together. And then, the bread actually goes to work for you while baking in the oven, perfuming the house with the best sweet pumpkin and cinnamon aroma (no need for fall spice candles, this is the real deal)! Of course, you won’t taste the olive oil, but it helps make the bread really rich and moist. …and dark chocolate chunks just because, what’s a freshly baked pumpkin bread without a little bit of warm, melted chocolate? 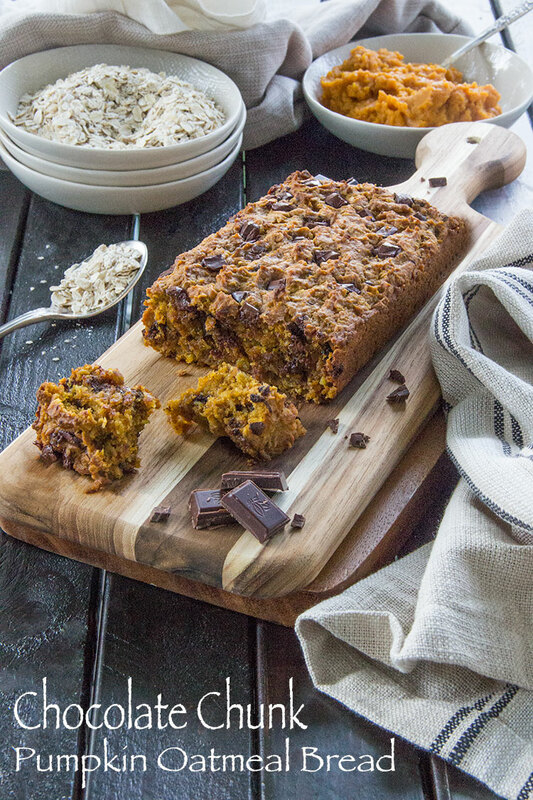 Get the complete recipe for Chocolate Chunk Pumpkin Oatmeal Bread at Food Fanatic. 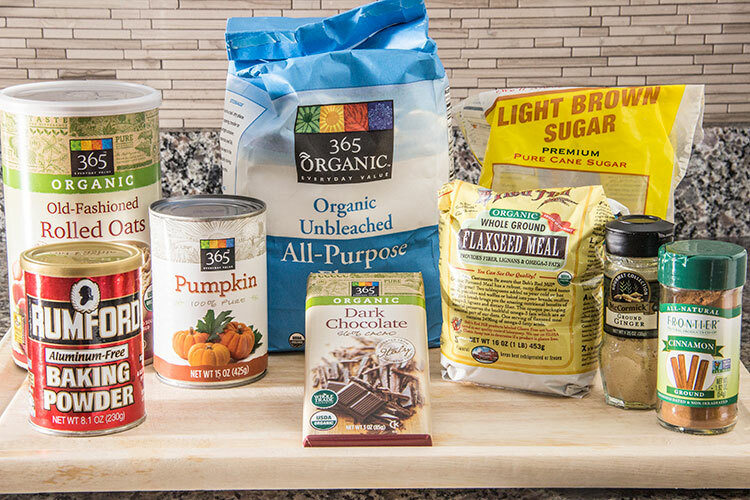 …begin with all of these ingredients. And preheat the oven to 375°F. 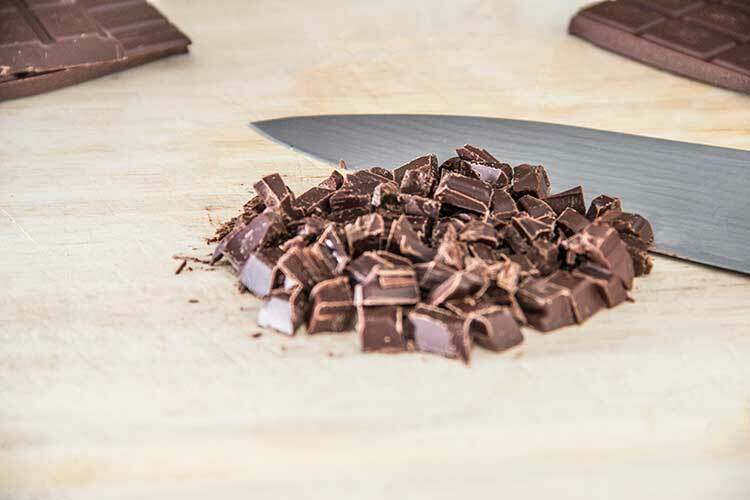 Grab about half of a dark chocolate bar and, using a sharp knife, chop it into small, quarter-inch chunks (look for a certified organic, fair trade bar for the most natural and best quality chocolate). Next, grab some ground flaxseed and toss it into a large mixing bowl. 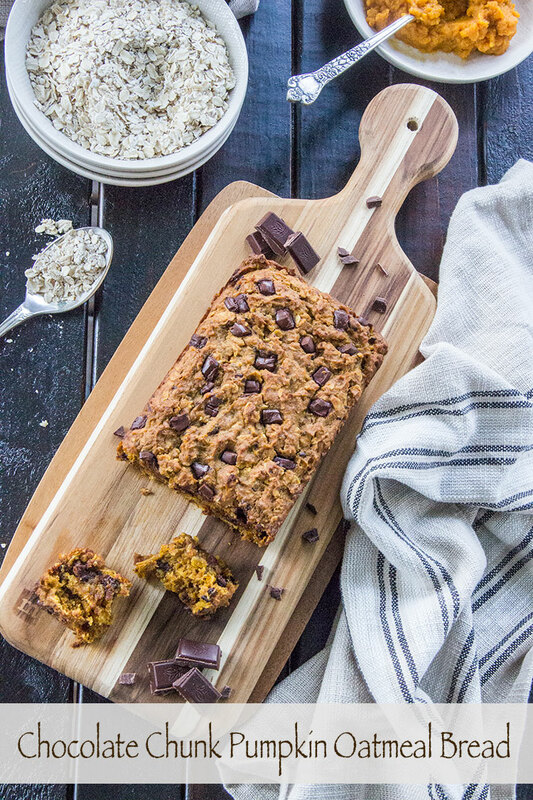 I love adding ground flax to baked goods like this pumpkin bread because, while you can’t taste it, the flax adds lots of healthy fiber and omega-3’s. 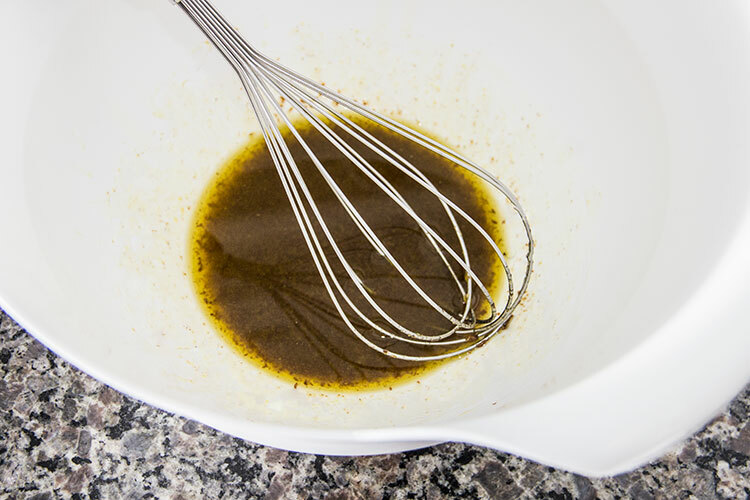 Pour some extra virgin olive oil into the bowl and whisk until the flax is thoroughly combined with the oil. 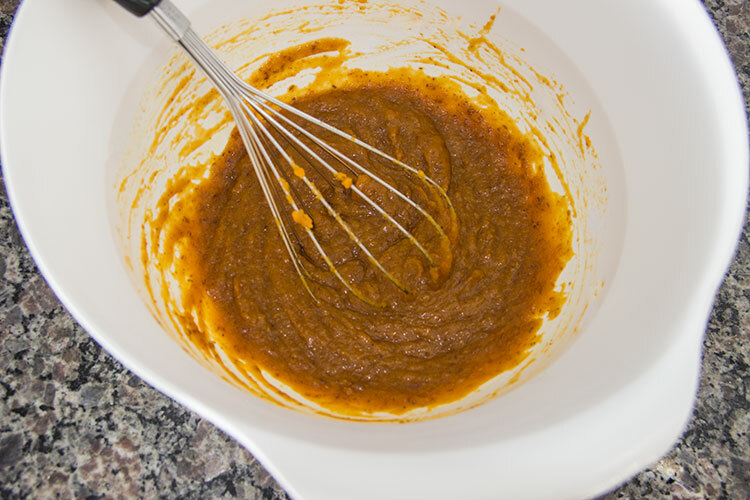 Then add plenty of pumpkin puree, along with some brown sugar. Then grab a second mixing bowl to combine the dry ingredients. 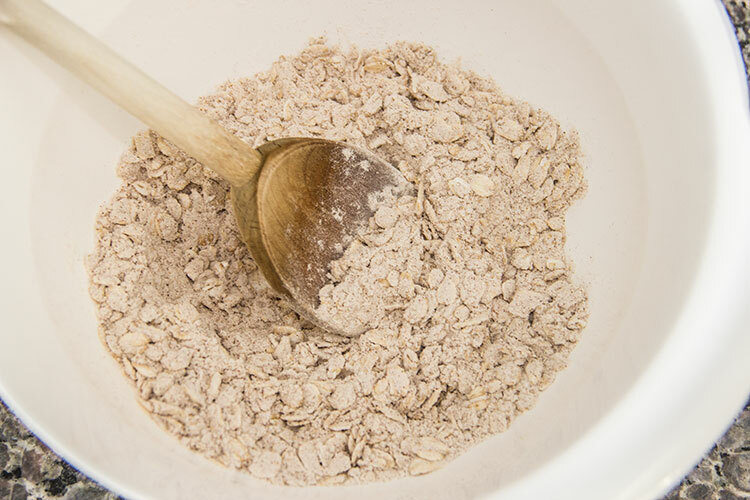 Add some old-fashioned rolled oats (old-fashioned rolled oats are best for baking), along with some all-purpose flour, and some baking powder. Also add a few seasonings to add some delicious fall spice to the bread: cinnamon, ginger, allspice, and a pinch of salt. 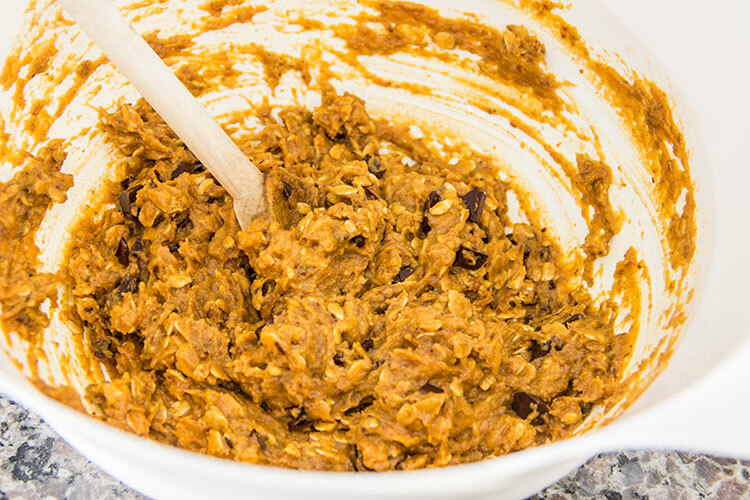 … and slowly blend the oatmeal mixture into the pumpkin mixture, stirring just until the batter is well combined. Carefully fold in the chocolate chunks, setting aside several to arrange on top of the bread later. 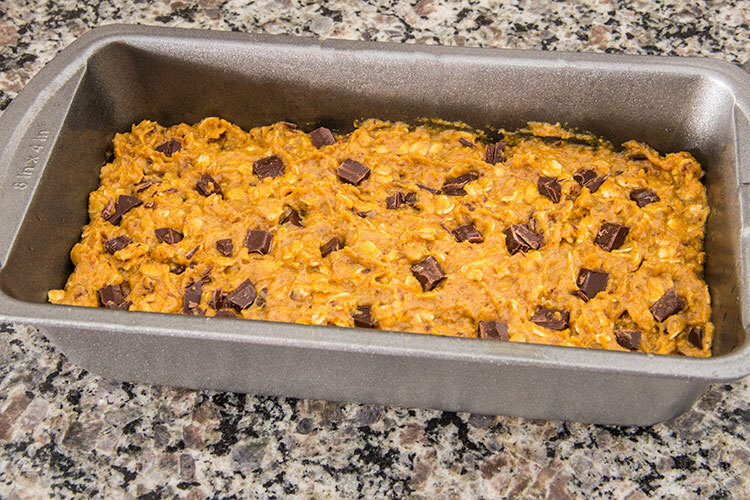 Next, grab an 8-inch X 4-inch baking pan and, using a towel, coat it with a very thin layer of olive oil. Pour the batter into the pan, spreading and smoothing the top with a small spatula or table knife, making sure that every corner is filled in and that the surface is smooth and even (this is an important step to ensure that the bread bakes evenly). I like to press a few extra chocolate chunks into the top surface of the batter at this point, just because it makes the bread look especially nice and appetizing. The oven takes over from here, filling the house with the yummy scent of freshly baked, homemade pumpkin bread! Allow the bread to bake until you notice that the corners are just beginning to turn golden. Then test by inserting a toothpick into the center of the bread. When it comes out clean, without batter still clinging to it, remove the bread from the oven and allow it to cool a bit on the counter. Next, run a table knife along every side of the bread to make sure it doesn’t stick to the sides of the pan. Turn the pan over onto a tray or cutting board to remove the bread from the pan, then flip so that the bread is right side up and ready to serve. I like to slice it and serve it while the bread is still warm and the chocolate still a bit melted and gooey! With the tasty spices like cinnamon and allspice, this bread just tastes like fall. And the olive oil helps makes it rich and moist too. 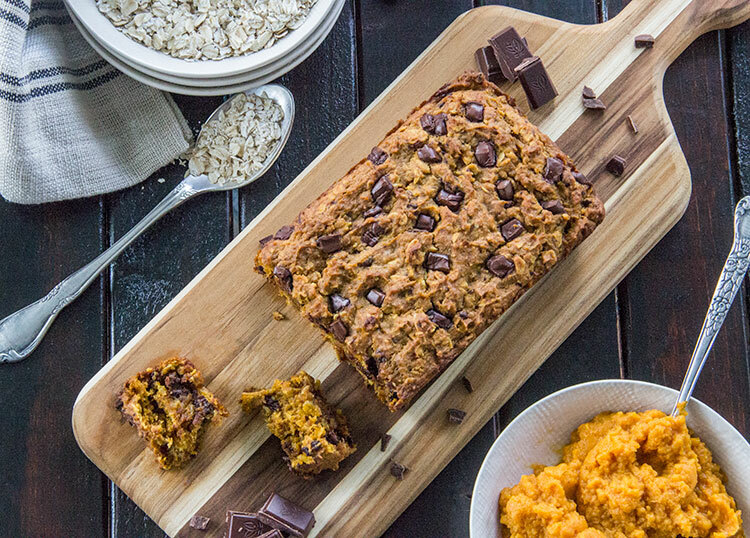 Plus, with the fiber-filled oats and flaxseed and the vitamin A-filled pumpkin puree, this bread packs lots of nutrition. And the chocolate chunks make it feel like a really special, decadent treat too! Try serving this to family and friends and fool them completely: they’ll never guess that this freshly baked, healthy, homemade bread was super easy to make! 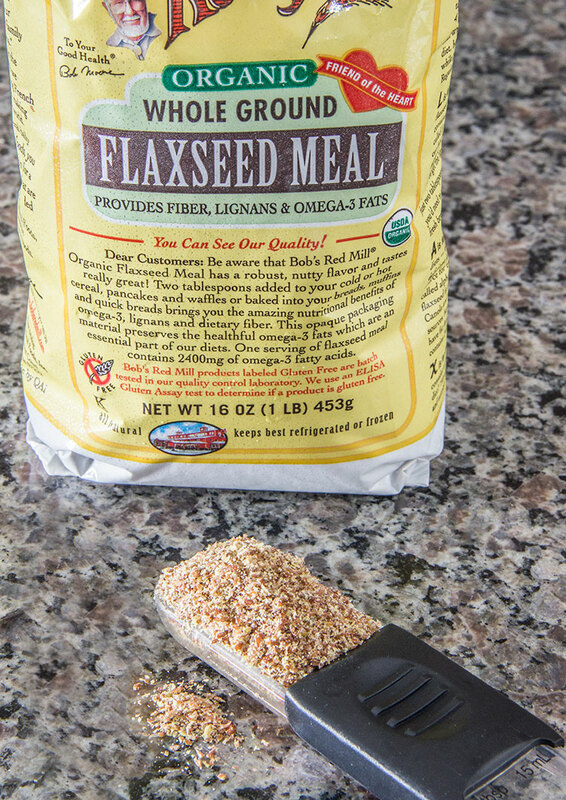 This looks amazing and love the use of flaxseed meal!